Is Donald Trump a Model for Communicators? His simple story line helped carry him to the presidency. Is there a lesson there for business leaders? In his new book, Charles Duhigg demonstrates that making the right choices is the key to boosting personal productivity. In his new book, Adam Grant turns the conventional wisdom on non-conformity on its head. When it comes to organizational change, allowing sufficient time to gain attention and approval will increase your odds of success. How to become the best version of yourself. Putting people at the heart of your business strategy is the way to start reshaping a heartless system. A new book shows why the qualities we reward in our leaders can actually undermine a company’s performance. There’s power in asking for help in a world full of people longing for connection. Learn to develop a mind-set of curiosity, rather than one of conviction. Beware of euphemisms that belie “hellish” behavior. The author of a new book says it’s more productive to integrate your career with your passions, talents, and service to others. A new book explains why good jobs on the front lines can lead to competitive success. Are You a Conscious Capitalist? It’s time for capitalism to find a higher purpose. 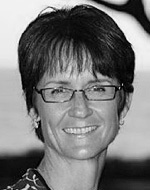 Susan Cramm, author of 8 Things We Hate about I.T. : How to Move beyond the Frustrations to Form a New Partnership with I.T., introduces a lesson in assessing bosses from The Curmudgeon’s Guide to Getting Ahead: Dos and Don’ts of Right Behavior, Tough Thinking, Clear Writing, and Living a Good Life, by Charles Murray. If you find yourself thinking you could be doing more with your life, take a chance and make a change. Is it time to add some civil disobedience to the civil discourse? Take a moment, change a life.